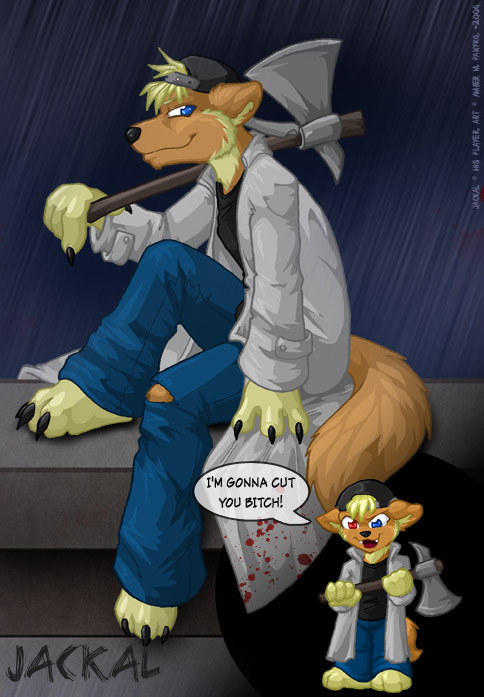 AKA: Newest art of others and partially ok to view. 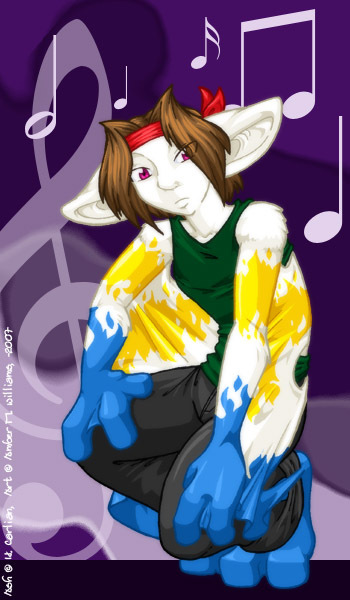 All the art here is from September 20 2004 to today done for other people. I put the newer stuff at top now so come back now and again to see new things. The characters in this archive do not belong to me unless stated otherwise but rather belong to the individuals who claim right to these characters. The only thing I claim is the art itself that I spent the time drawing the picture itself. NEW Secret Santa #1: A picture I did in a Secret Santa exchange way back when ago. 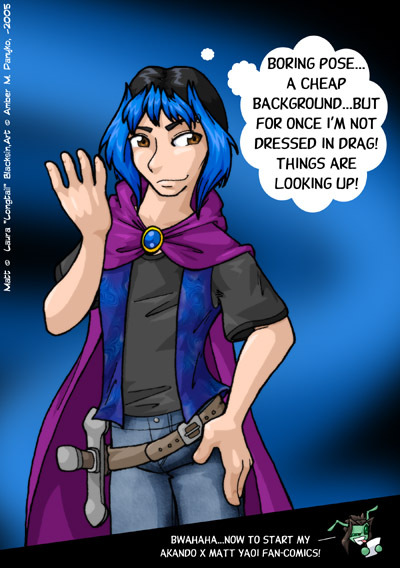 NEW Keesha: Image done as gift art for a wonderful webcomic. 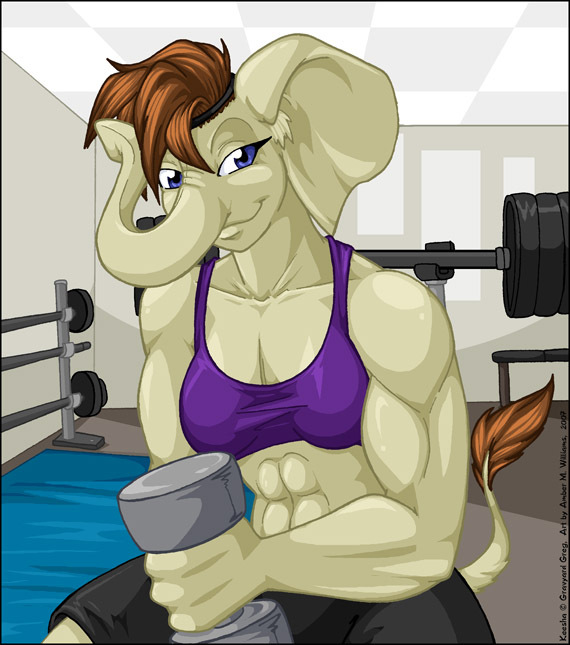 You don't see too many elephant characters. Much less bodybuilder ones. NEW Keaton the black Jackal: Fun with shadows! This was a commission for the faboo Keaton. 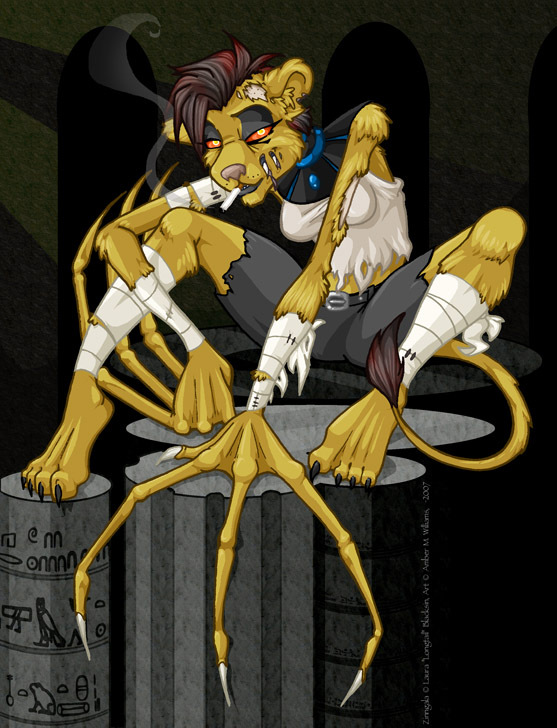 Zinn: Yet another character of Longtails, a zombie-lioness character named Zinn. She's fun. Blinkies 1, 2, 3, I was trying to do a whole set for Soshi...sort of slacked off on that. My bad. 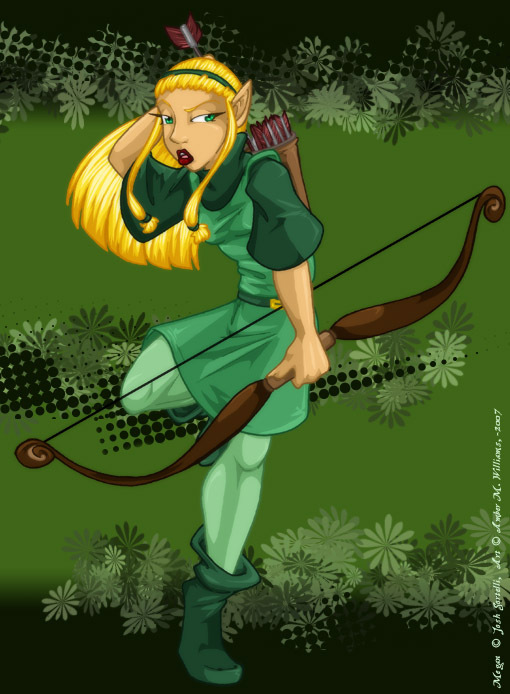 EoI Megan: A gift art for the comic Elf-Only-Inn. Megan the elf...in a rather generic pose. Ugh I fail at poses. Inkberry Shortcake: I have no explanation for this one. I think I was on the crazy meds at the time. Gwen Evolution: A silly series of pics done for Joe, in part of a contest and in part of a cheer-up gift. His character throughout the ages. Interrogation: (Warning: Risque content) Another picture for Longtail. Um...eh heh...moving on! Jackal: I actually forget if this was a commission or a gift art. Either way, pointy axe fun for all! 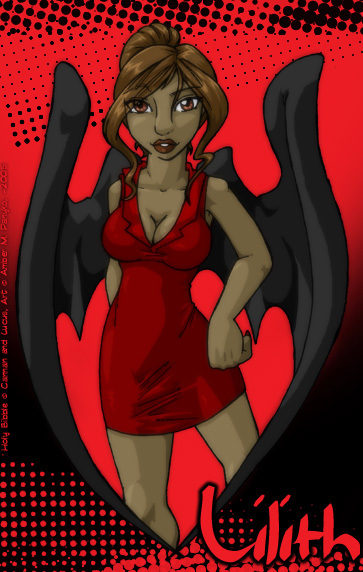 Mite: A picture for Soshi of her Inhuman character. Worst attempts at pants ever. I owe a better picture. 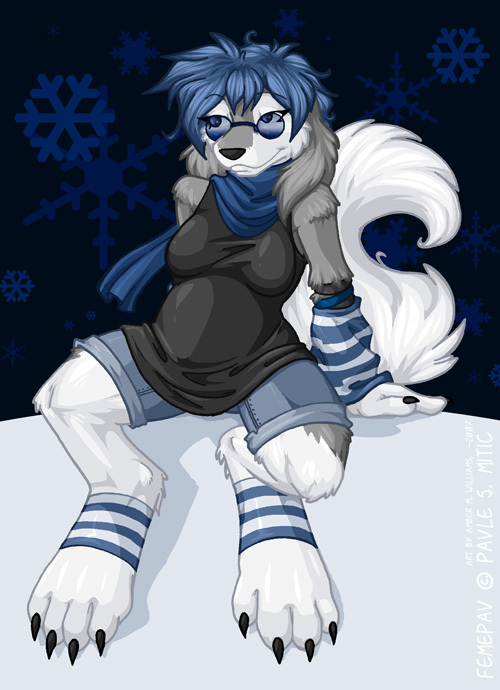 Roz Taur: A picture for Longtail, though a bit silly. One of her characters done as a hampster-taur. Stubbly legs for the win. 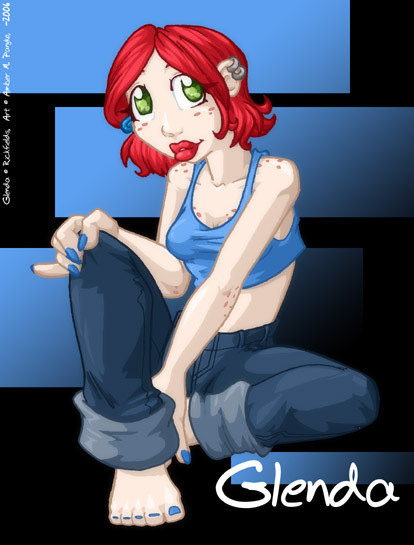 Glenda: A gift picture for rickfields of his red-headed character Glenda. 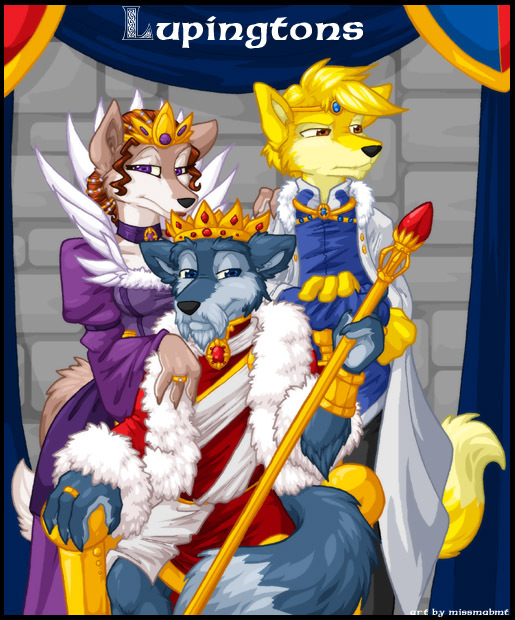 The Lupingtons: ...yes they're Neopets...but I drew them for someone anyways. Don't judge me! Coke: A picture of a hodgepodge kinda shapeshifter named Coke, done for a Manawolf. Mischa: A genie made ouf of light rubber who lives in a soda can. Always fun! Mezumi: A gift picture for Ben of his mouse girl Mezumi. Fun attempt with backgrounds. Jo: A gift for Cheetah of their new mascot for TJA. I need to work on her design more. Outkast: Exchange image for a Michelle of her demon-kitty Outkast. Pointy and shiny. 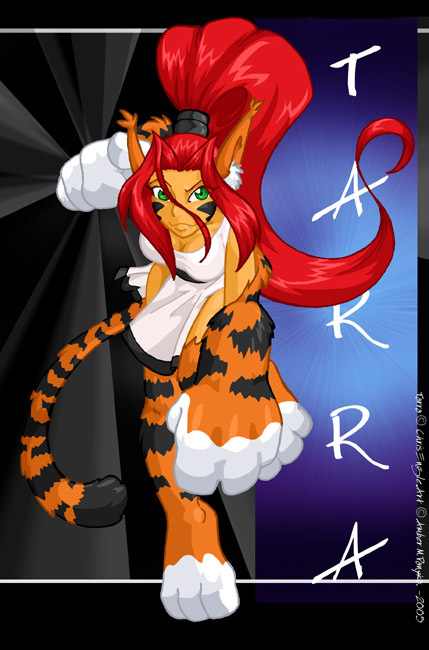 Tarra: Ryle's tigerlike girl winding up for a punch. Big kitty paws are fun to do. 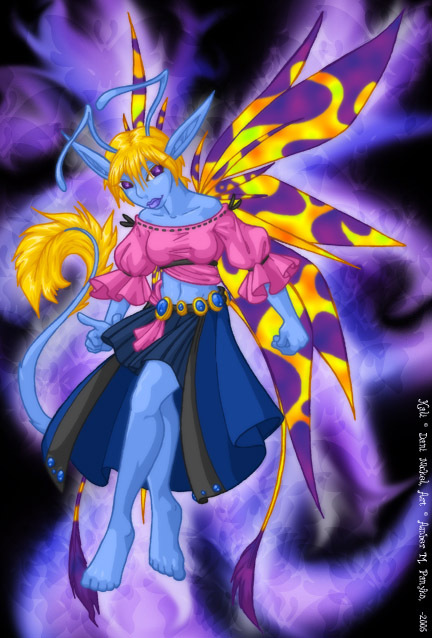 Kali(revised): A revision for an old friends character of the Faerie Kali. You can probably find an older version in Gallery(other)2. Hooray for art evolutions. 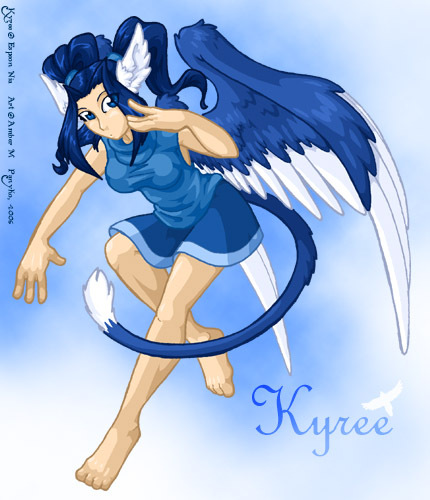 Kyree: Done via request, a gryphon-like girl named Kyree. Lots of blue, simple background. 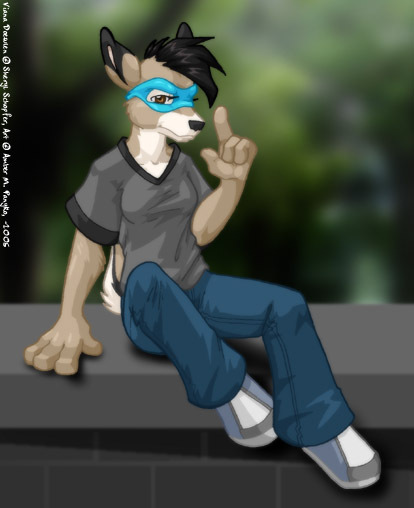 Deer Me: A random image done of a rather interesting deer character. You don't see too many bandanna wearing characters these days. Zephyr/Yuumei: Silverfox's characters...where Zephyr is probably going to kill me for doing this if he actually can get away from Yuumei. Krea: Another picture for Equidna of his wonderful alien gal Kria as she spreads her message of love to the world. Scarlet: A random gift for Jive Guru of his character Scarlet...a squirrel girl who is insanely difficult to draw in that style. Nezumi: A gift piece for Benny who has always done nice pictures for me. His mouse-gal Nezumi sitting in Lost Lake. 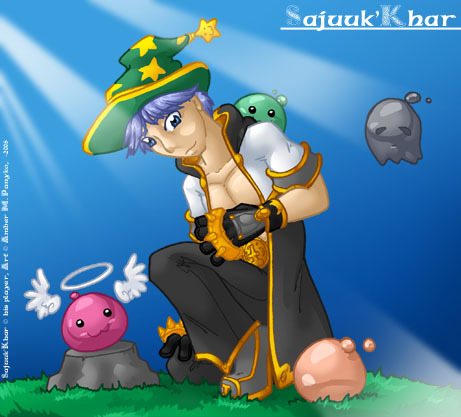 RO-Deathstrike: I did a bunch of Ragnarok Online fanart of friends characters a while ago. This particular one is of a monk who's name I still cannot pronounce. 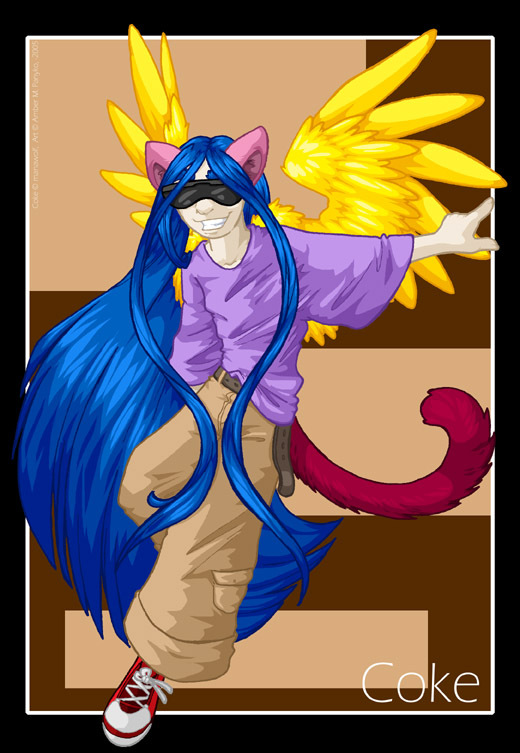 RO-Toxic: A Ragnarok Online assassin who goes by the name of Toxic. 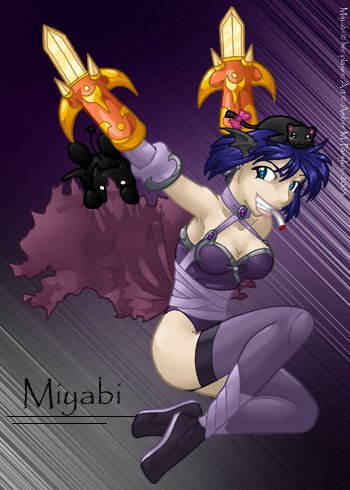 RO-Miyabi: Another Ragnarok Online assasin called Miyabi with her pet and her blades. RO-Bunny: A Ragnarok Online priestess by the name of bunny with her pet devilruchi. 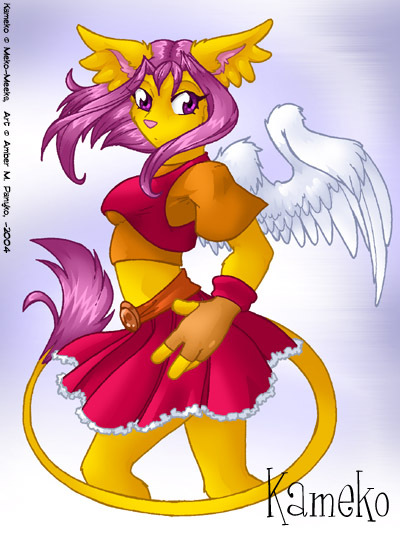 Phleona: A non-fiery pheonix named Phleona. Birds are always fun...and a bit toony. Diana/Reynard: Another gift art for Seth Triggs of his main couple, Diana and Reynard. 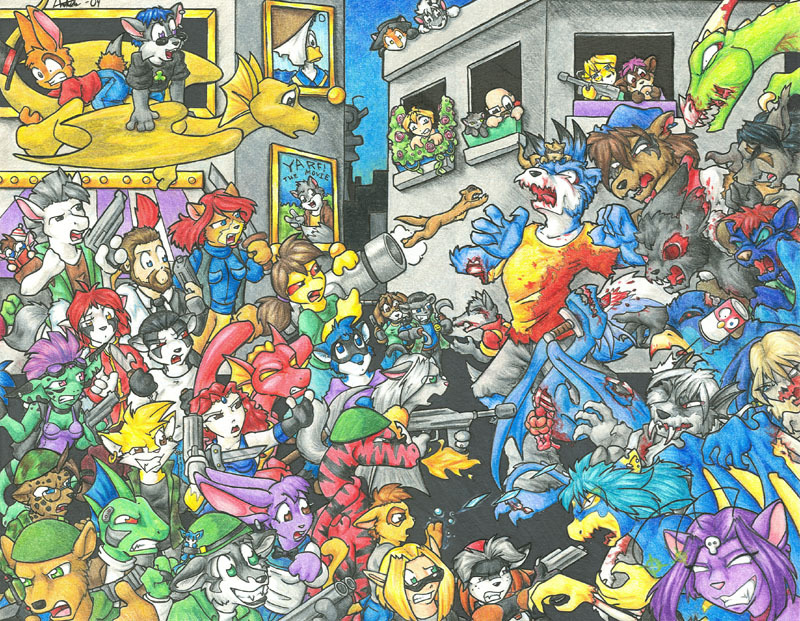 Chibis Versus Reworks: The Legend...The massive detail...the handcramps from doing it all in coloured pencil. It has a lot going on in it. Lacey: A trainwreck character in Seth Triggs Buddies in Big Places...the lapine Lacey. Kameko: A gift for a wonderful fan Meko-Meeks after she drew some art for me. I love her wingish ears so I couldn't resist. More to come: as always.